Zlz was kind enough to let me pick out something from their shop, so I chose this vintage-inspired long-sleeve lace shift dress. I love the layers of tulle underneath! It has a romantic 20's vibe to it, which I really like. 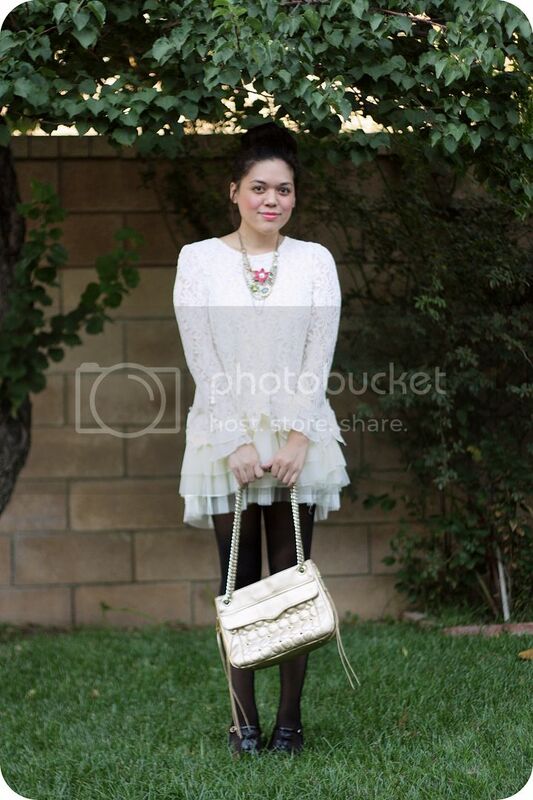 I styled it with sheer black tights, my gold Swing bag, a Betsey Johnson charm necklace, and t-strap heels from Payless.